Graduations are now occurring throughout the year for all ages of students. This Graduation Collection from ComputerGeek will help you celebrate the special occasion for all the grads in your life, young and maybe not so young. Graduations are now occurring throughout the year for all ages of students. This Graduation Celebration Collection from Nayyan will help you celebrate the special occasion for all the grads in your life, young and maybe not so young. Graduations are a great opportunity to take a few minutes to reflect on all the dedication that has went into preparing for this moment. That special graduate would love a reminder to celebrate all their hard work. This inspiring Graduate Collection from the Sooze includes everything you need to send a congratulatory card or a complete scrapbook reflecting on the journey. Graduation is such a joyous time. After sometimes years of hard work, it is exciting to celebrate all we have accomplished. 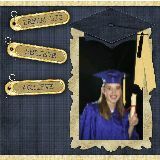 This Graduating Class of Collection from sweetdigiscraps is a great way to honor all the Graduates in your life. Graduation is the perfect time to reflect on what you have accomplished as well as the future you have to look forward to. So, whether you are celebrating Graduation from a University or the latest CKU class, this Collection from .Nayyan. will help you preserve those memories in style. 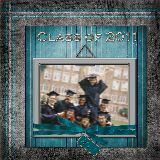 This inspiring Gradation Collection from the Sumners includes everything you need to send a congratulatory card or a complete scrapbook reflecting on the journey.